I met Kenny in January 2012 when he signed up to join our half-marathon training team. 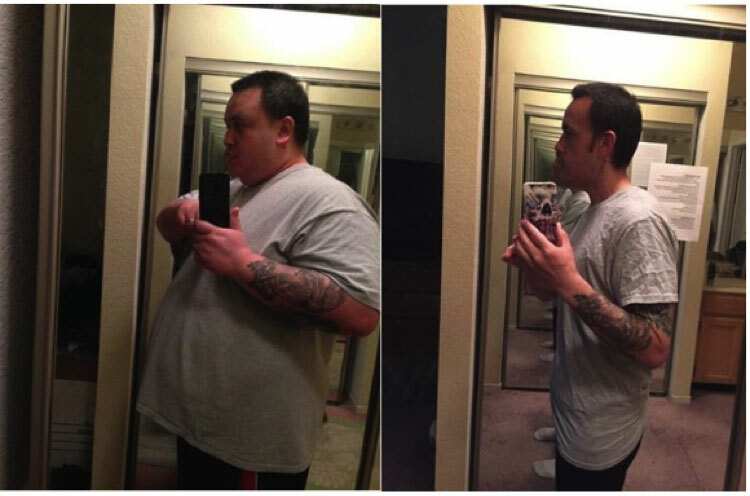 Kenny's goal was to train for and complete the Oakland Half-Marathon, improve his health and reduce his weight from 275 pounds. I was excited to work with him and all our other group participants, many of whom were training for their first half-marathon ever. Kenny showed grit and courage in all his training and never complained once. Here is his story in his own words and pictures. And look out for part two on all his amazing running accomplishments since then. He is fast, committed and persistent! -- Cory Nyamora. My health was in serious jeopardy. I was on multiple medications for cholesterol, high blood pressure, and type 2 diabetes, including daily insulin shots to control my blood sugar on top of all of these medications. My self-awareness kicked in, and I began to realize I was quietly tip toeing to an early grave. On September 1, 2014 I made a commitment to myself, and posted on my bathroom mirror as a daily reminder. This is me tipping the scale at nearly 300 pounds. In order to drop this weight I had to work really hard, stay focused, and be consistent! In one year, I ran over 300 miles. I got up at 3am just to be sure I could get my cardio in for the day. I ate clean most of the time, and worked out six days a week. For some this may seem crazy! It may seem excessive or too much. But for me I had a dream...a vision of what I wanted to look like, feel like, and to be like in a year. Whether it was crazy, extreme, or excessive. My life was worth whatever I had to go through in order to fulfill my dreams, in order to make my vision become a reality. What's your Secret? I get asked this question a lot. In order to build a fire, it takes more then one log or one piece of wood, so it is the same for the fire that burns inside of me. It's not just one thing. The very first thing was self awareness. Where do you stand? Health -wise? Financially? Relationship-wise? Where do you stand? Most people will never make it to this first step. It's a hard one. I didn't like hearing that I was at a high risk of having a heart attack. I didn't like hearing that I was at a high risk of having a stroke, that half of my body could be paralyzed, and I could be confined to a wheel chair. I didn't like hearing that if I didn't get my diabetes under control it could eventually lead to amputation or going blind. But, I needed to hear these things. The second log to fuel my fire was my dream, my vision. I've now decided to take this journey of being health and fit. What was my target? What is it I am aiming at? I then began to have this vision of what I wanted to look like. I'm a visual person. I need to see something in order to understand. So I came up with my vision of what I wanted to look like. When I talk about having a dream or a vision, I'm not talking about something you write on a piece of paper. It's not just an idea or thought you have tucked away in your mind. No, no, no...my vision/dream was very clear! I knew exactly what it looked like, every single detail was very clear. I knew exactly what it felt like, I knew exactly what it was to be like this vision/dream. It needs to be so clear that you literally have it in the palm of your hand without having it. 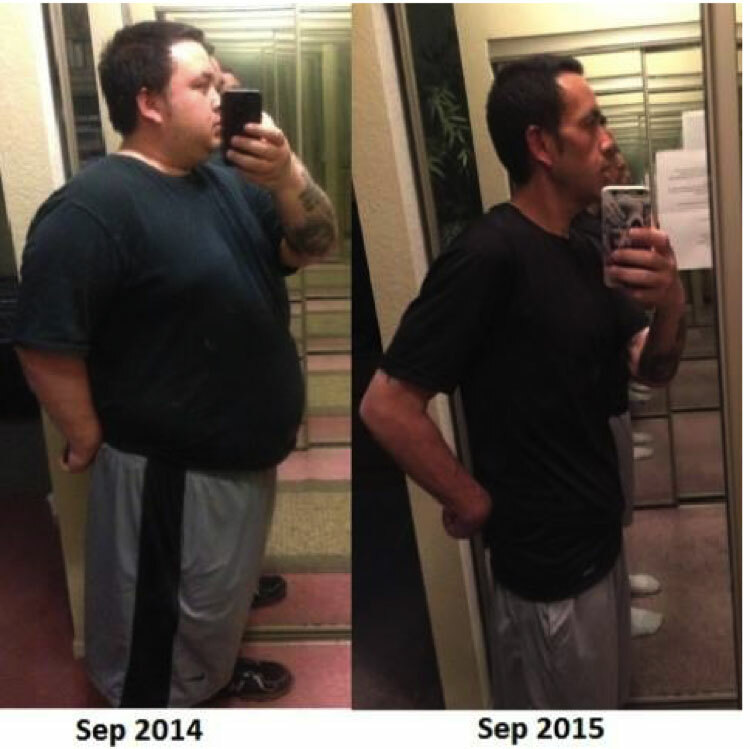 So when I lost 65 pounds, and went down 4 pants size, and I felt great, I was so excited. Until I took a picture of myself after losing 65 pounds, or 80, pounds, or even 110 pounds! Only to realize how far away I was from my vision/dream. Only to realize that this wasn't time for high fives, and celebration. When your vision is so clear you won't be satisfied until it is fulfilled. It will make you not normal. It will make you so dedicated! You will says yes when others say no. You will rise when others are still sleeping. You will want to be better today than you were yesterday. You will do what others will not. You will control your destiny. It will give you a passion! Passion is when you put more energy into something than is required to do so. It is more than just enthusiasm or excitement. Passion is ambition that is materialized into action to put as much heart, mind, body, and soul into something as is humanly possible. There was a very successful Guru, and a young man that wanted to be successful as well went to the Guru, and told him, "I want to be successful just like you! Please show me how to be successful." The Guru said, if you want me to show you how to be successful, meet me at the beach tomorrow at 6am. So the young man showed up at the beach wearing a suit. He's ready to rock and roll, and the Guru says to him come out into the water with me. The young man does and he goes in with his suit on about waist-deep. He says: "I don't understand? Why am I out here in the cold water? I'm not trying to be a life guard! I want to be successful. I want to learn what it takes to succeed." The Guru says, "Come out a little further!" So the young man does, and now the water is up to his neck. He's standing there neck-deep, and still not understanding what he is doing. He begins to turn around and head back in, muttering to himself... "This man is crazy! I wanted to be successful, and he has me out here swimming!" The Guru says: " Hey, I thought you wanted to be successful." The man turns around and shouts "I do!" The Guru says: "Well you are almost there, come out a little more." He did what was told of him and the Guru grabs him, and holds him down underneath the water. The young man desperately fights, and struggles to get some air, but the Guru continues to hold him under the water, and just before he is about to pass out, the Guru raises him up. While the lad is still gasping for air, the Guru asked: "When you were underneath the water, what did you want more than anything in the whole world?" The young man said, still struggling to catch his breath, ..."Breathe!!!" The young man shouted: "I couldn't breathe, I needed to breathe!" The Guru says to the young man: "When you want to succeed as bad as you wanted to breathe...then you will be successful!"